The Kirlian Phantom passed though the wall intangible and whispering unearthly cries. 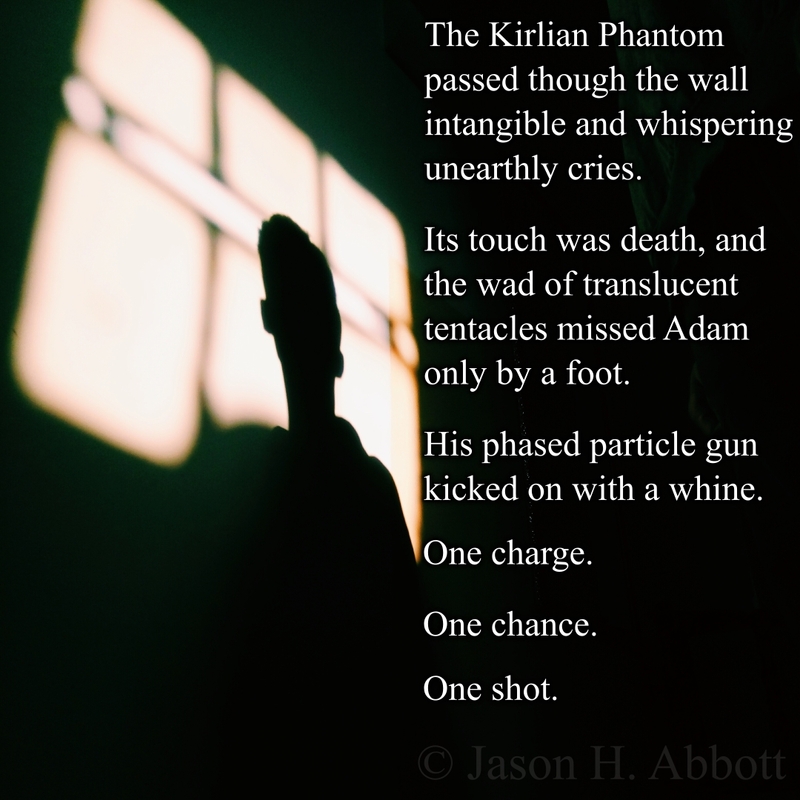 Its touch was death, and the wad of translucent tentacles missed Adam only by a foot. His phased particle gun kicked on with a whine.